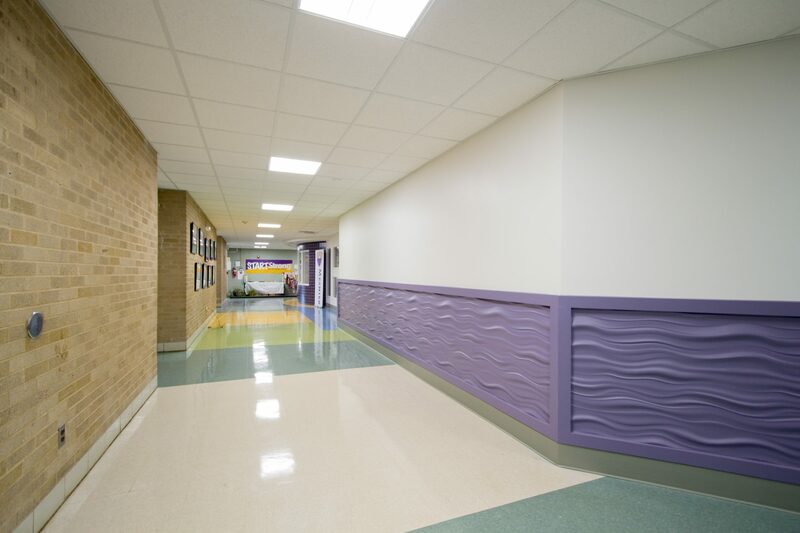 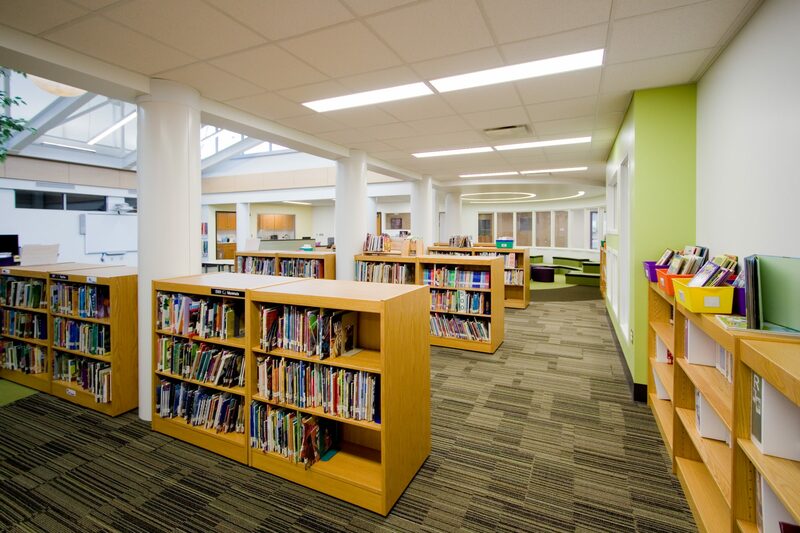 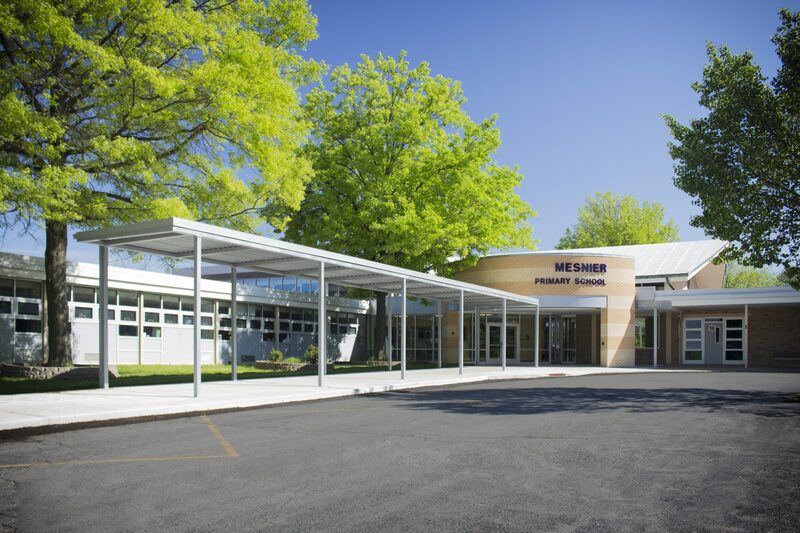 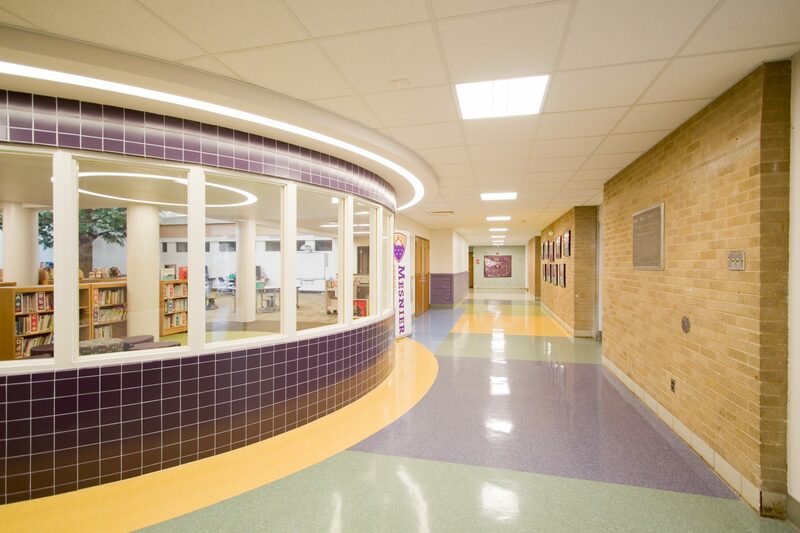 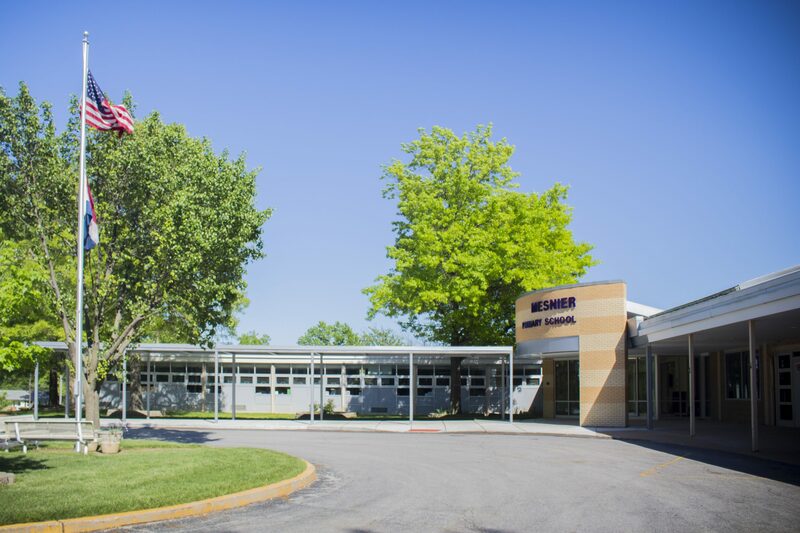 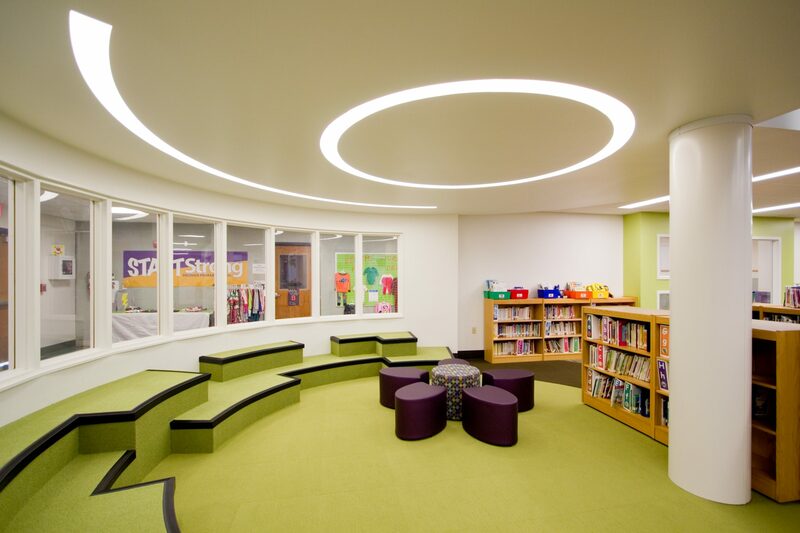 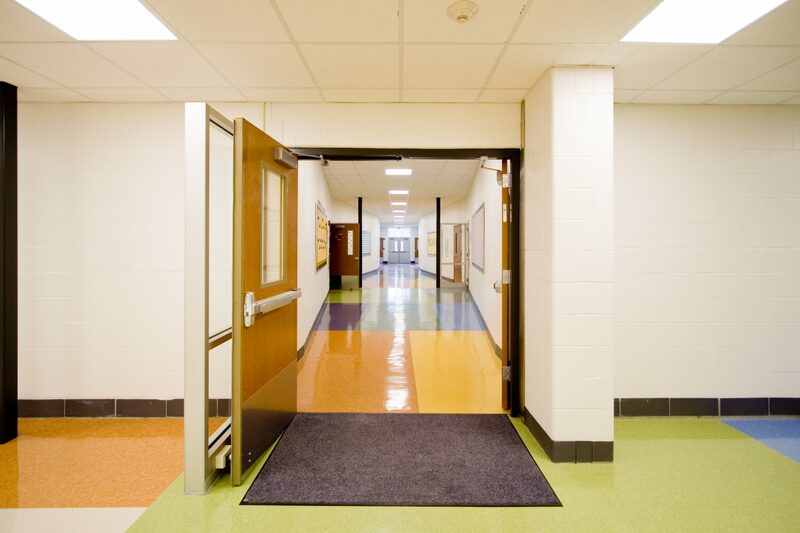 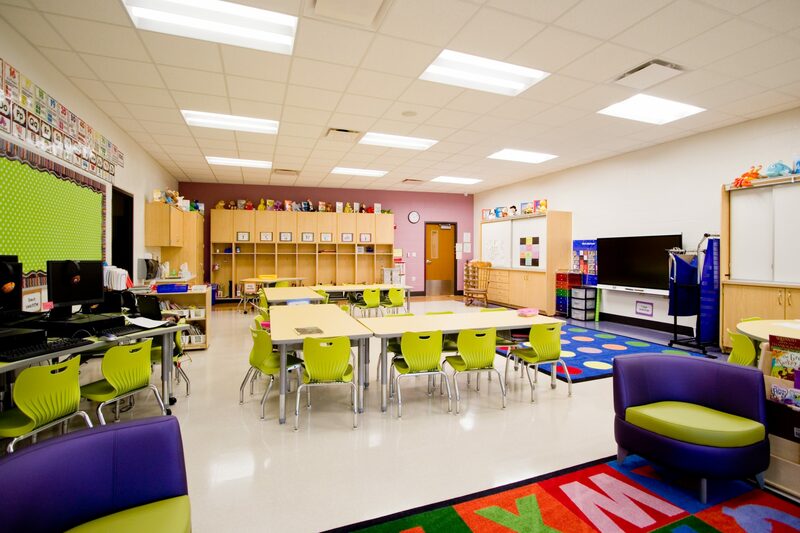 The Affton School District chose TR,i to design building additions and renovations for its Mesnier Primary School. 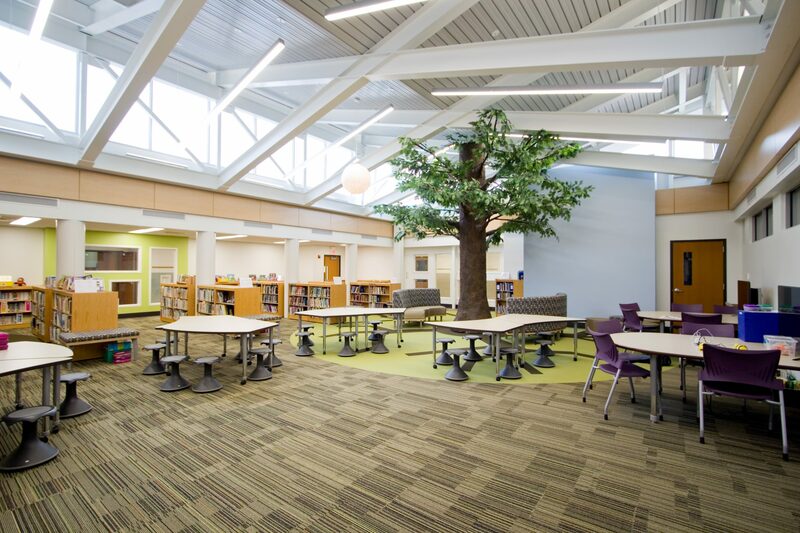 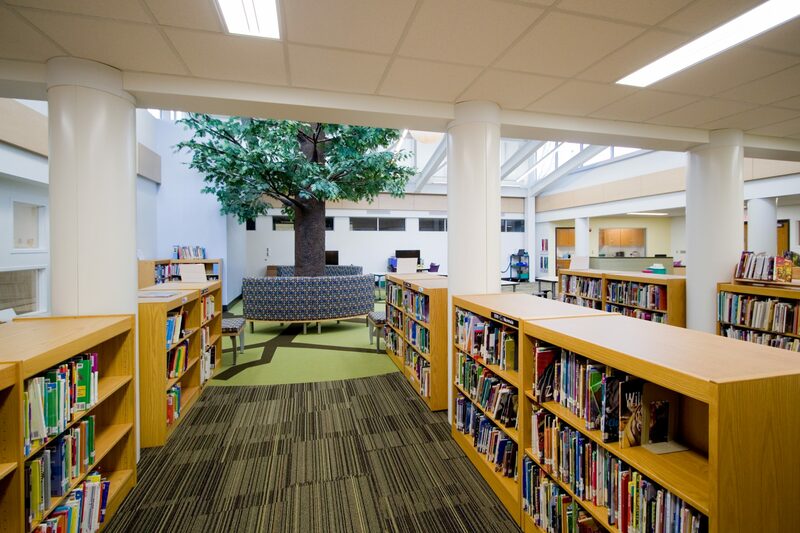 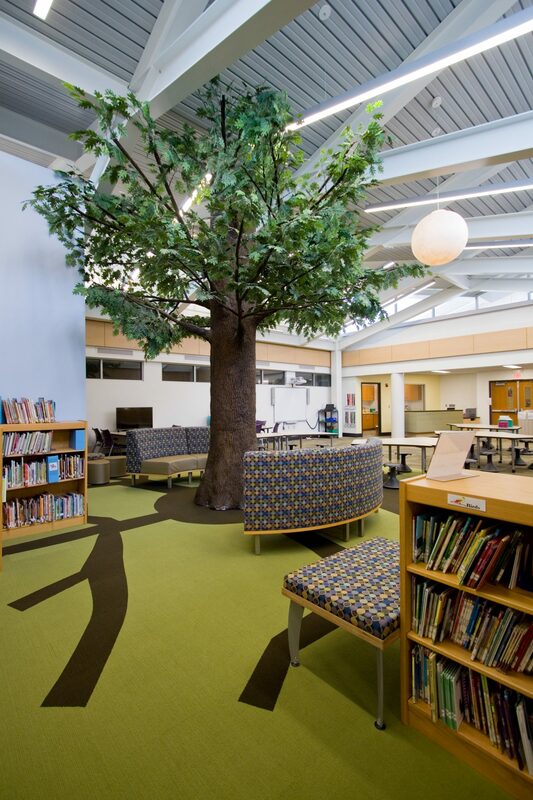 In the heart of the existing building, an exterior courtyard was enclosed and the administration has become a new library space for the school. 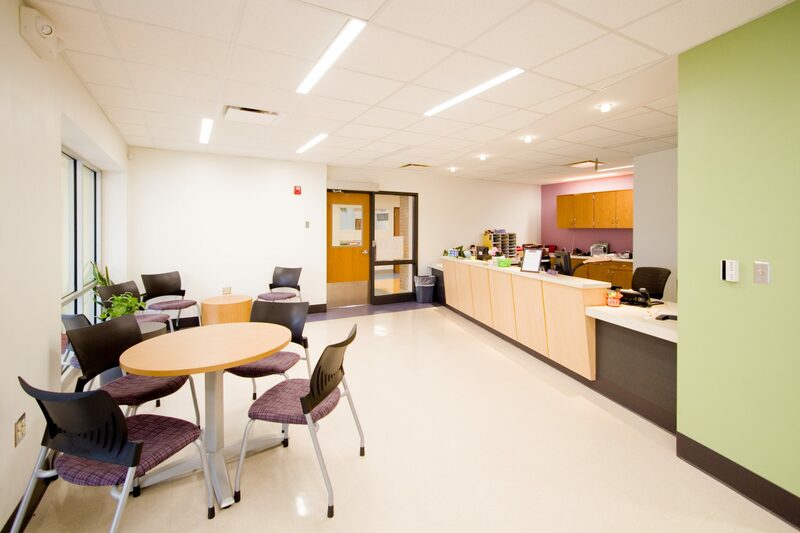 The existing library space was converted to a larger administration area adjacent to a new secure vestibule, entry and nurse’s suite. 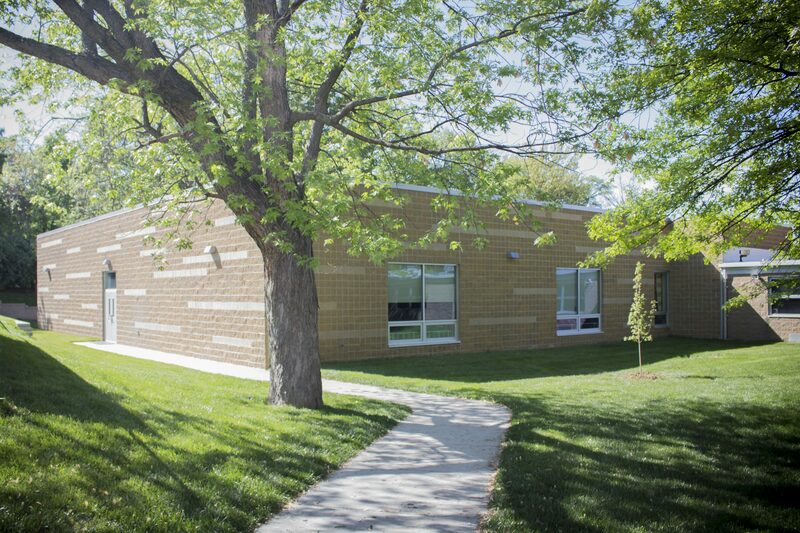 A new kindergarten wing was added with 6 new classrooms each with their own restroom and storage. 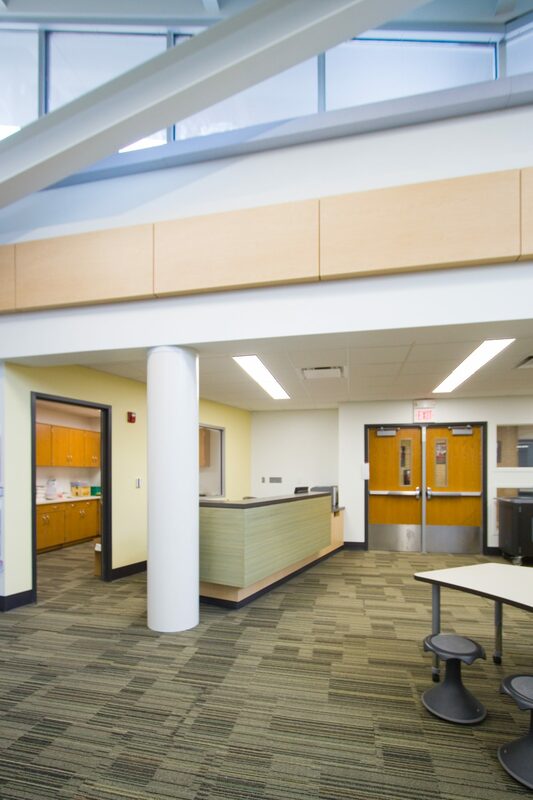 The lower level cafeteria has been expanded for increased circulation and natural light. 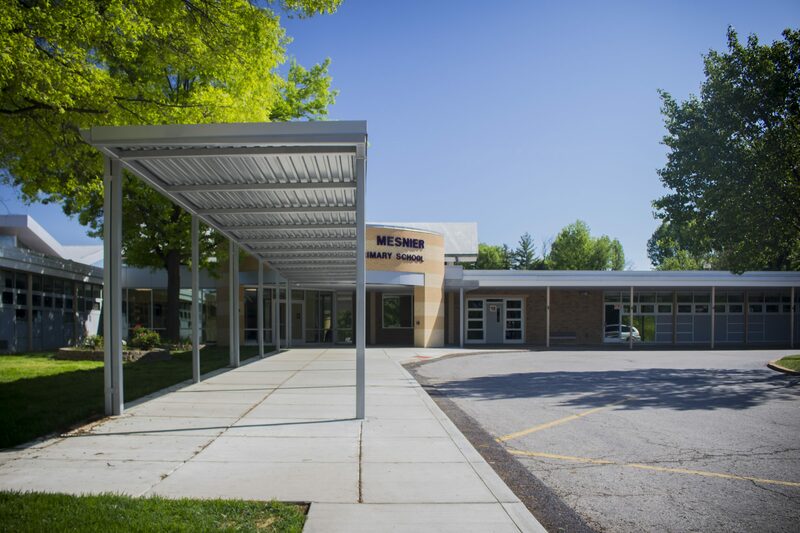 The property was modified to add 21 parking spaces and student play areas.